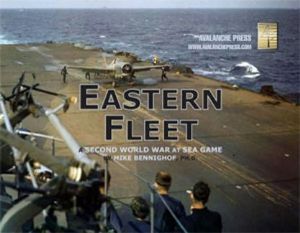 Eastern Fleet is the second game in Avalanche Press's Second World War at Sea series. It covers the conflict between the British and Japanese in the Indian Ocean during 1942. Sea of Iron is a complete Second World War at Sea boxed game based on actions on the Baltic Sea between 1939 and 1945.